Americas favorite DIRECT to the public Indusparquet wholesale to the public Dealer. 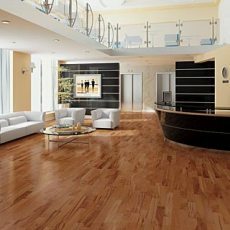 For more than four decades, Indusparquet has been a leader in the introduction of unfinished and prefinished exotic hardwood flooring to the United States for use in commercial or residential applications. 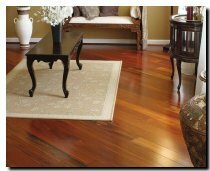 Today the company continues to provide the finest exotic flooring, while striving to introduce exciting new hardwood species and innovative products, ranging from a variety of solids to cost-effective engineered flooring. 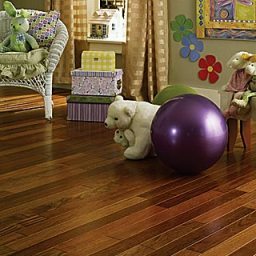 Prefinished feature strips are an exciting way to customize your Industparquet hardwood floors. Create an unusual pattern or add a classic border design. 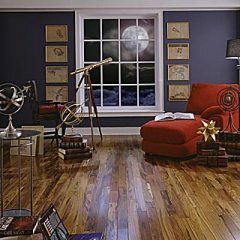 Feature strips from Industparquet provide unlimited design options to enhance the natural beauty of all residential and commercial applicatioins. 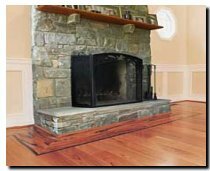 Available in a variety of 3/4" x 1" x 88" pieces of exotic wood species with micro bevel edges and ends, these strips are prefinished with factory applied UV cured aluminum oxide including a 24-year Limited Warranty. This is for nail down installation over a plywood subfloor on and above ground level only.